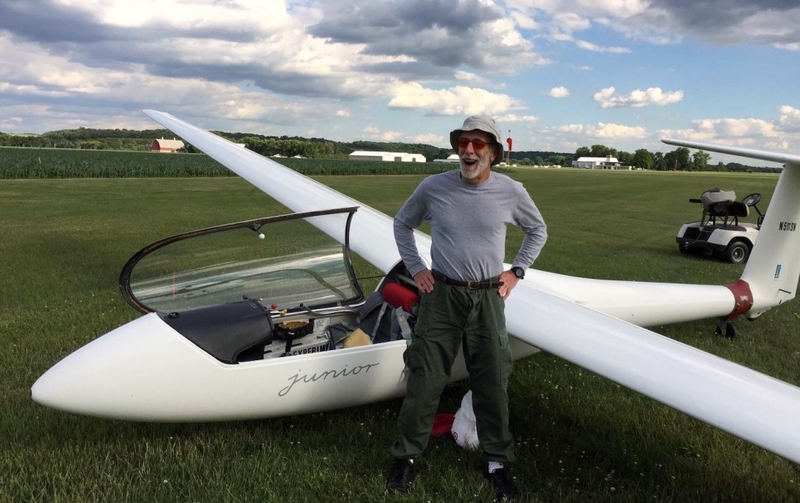 The Minnesota Soaring Club is about 100 people of all ages and backgrounds who have joined together to share the joy of soaring flight. We are based at the historic Stanton Airfield, a beautiful airfield perfect for grass-roots flying. Club members fly primarily weekends as weather permits, between April and November. Saturday and Sunday mornings are dedicated to flight instruction, with soaring beginning as conditions improve in the afternoon. Please stop by on a weekend and introduce yourself. See the Location page for directions. For more information about how the club is organized, flight training, and how to get involved, see About MSC. We own three modern fiberglass sailplanes and a Piper Super Cub tow plane. Some members also own their own sailplane, alone or in partnerships. Two of the club sailplanes are two-place, for giving rides and flight instruction, or shared between club members on soaring flights. The “Junior” is a lot of fun on a good soaring day!